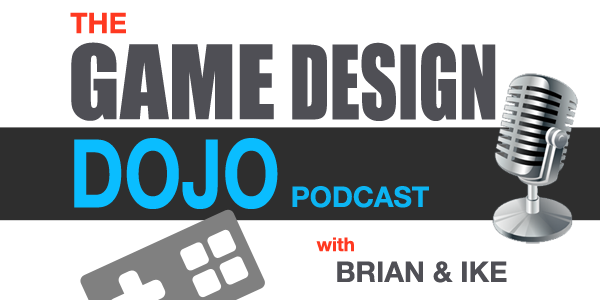 In this episode of Game Design Dojo, we discuss how game characters and gameplay mechanics go hand in hand with level design and control schemes. How many controls do you give the player and why? Characters and control are the backbone of your game’s interactive experience and we walk through plenty of examples. Game characters and gameplay mechanics are essential to creating your video game. Once you’ve determined your character and what gameplay mechanics to give your character you can create level designs and start enjoying the game developing process. Characters and control are the backbone of your game’s interactive experience and we walk through plenty of examples. Put your phone on vibrate and come along for the ride. Will the character walk, run, jump, shoot, etc.? How many mechanics will the character have? Combining gameplay mechanics during your video game is a great way to enhance your game. This should be instantly understood by the player and can be something simple like the jump and duck from Mario Bros. You can introduce new abilities which makes for good level designs. You can use telekinesis as a mechanic and change the gameplay. The best combinations come from not being planned. They usually happen through testing, by accident or from different angles. Ideally you want to make sure each mechanic is doing something different in the environment – ex. bazooka gun vs. machine gun. The character of Source is a butterfly-like creature with giant wings, so we decided to have it hover over platforms. Then we gave it a jump with a speed burst but it is always losing energy like a real living organism. Next we made a sensor or a feeler that has a bolt of lightning that comes out and senses around like an antenna. Things happen when the character senses something it can use and some things are hard to find. So through this mechanic, we decided to make exploration a huge part of the game. When choosing what buttons to use for the mechanics, keep in mind it needs to make sense to the player and needs to feel great when using. For ex. hold an object using y, and tap b to throw. Coder tip: Don’t bury input controls – have a master control list. Good character design is a combination of a really neat toy and a Swiss Army knife. An example of a Swiss Army knife would be something like Minecraft. An example of a toy would be something like Mario Bros. even with only two buttons, still had a lot of actions. Some other examples are Legos and Transformers. You build it and then discover what to do with it since it doesn’t do only one thing. Fighting games are good examples of the toy and Swiss Army knife concept. Gameplay includes timing and content, surprises with secret attacks, button exploration, and learning each character with some basics and then go more in depth with each character.